Today I am wildly thankful to my garden for its forgiving nature. I’ve made mistakes a plenty, and the garden forgives and forgets … and as I correct my “gardening blunders”, the garden picks right up where it left off and rewards me with wonderful growth and blooms. For that I am grateful. Christine, you are so thoughtful…thank you so much for the love! I love your idea of a bloom a day for 30 days. It has been really cool to see how everyone has put their own spin on the challenge! You captured the guara beautifully…not easy to do as they are always in constant motion with the slightest of breezes. Thanks for playing along! Hi Cat, I agree, it’s been awesome to see how many have taken up the challenge! And so many have personalized it in some way, which is really great. Not a fan of the flower – but your photo showcases it, as if it were an exotic orchid, something wondrous. I look with new eyes. What a WONDERFUL idea! It is such a worthy challenge because we need not have to search to far or too deep to be thankful for 30 things! I will also take up the challenge – even though a few days late . I seem to make lasting changes to my life when I start them on the 1st of November, so this is a good time to take note. Thanks for this! Oh great!! I love doing it, will be fun. Good to see that you are playing along. That’s a beautiful image. I have posted my first post yesterday at Topical Nature Photos. It’s a little different. Not giving thanks nor celebrating Thanksgiving. I used to jot down what I was grateful about daily for a very long time. It is ingrained in me to be thankful so I want to do something a little different. One, I LOVE your interpretation of the 30 Day challenge!! The garden forgives and forgets–what a good sentiment! 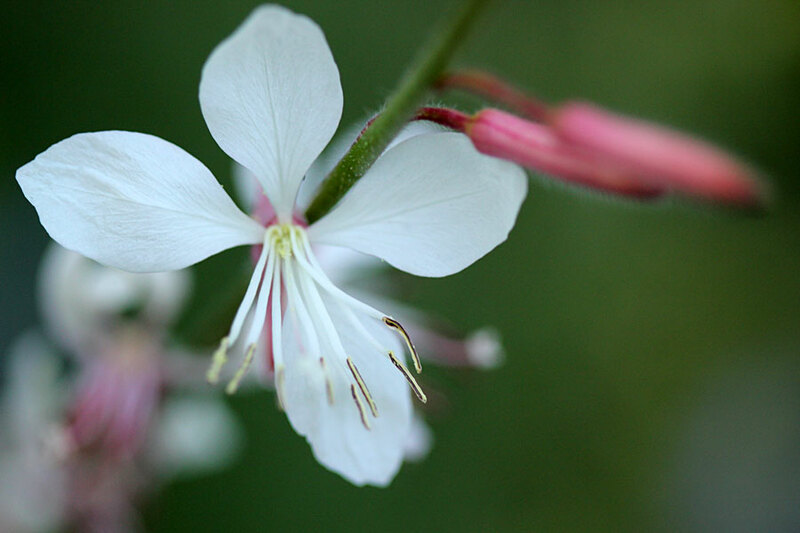 The Gaura is beautiful! Thanks BL! 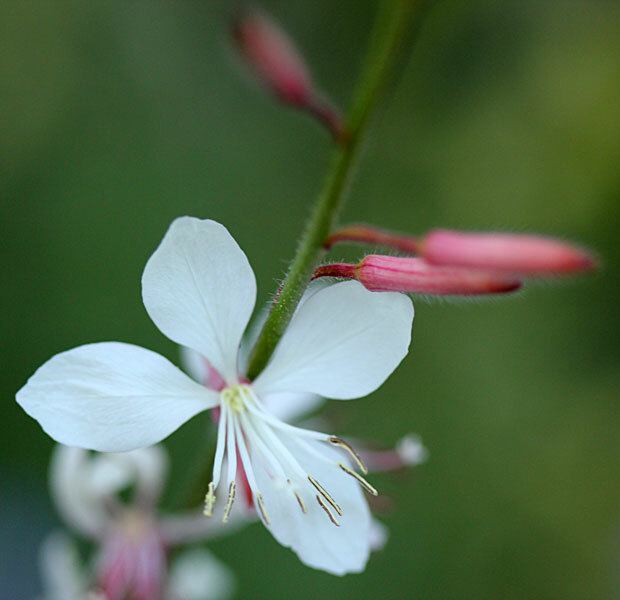 I love Gaura! You are blessed . The gaura is beautiful, and the challenge sounds like fun.